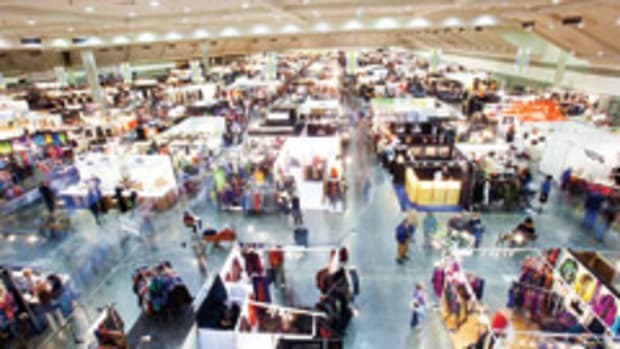 The fifth annual Baltimore Fine Furnishings show featured about 30 exhibitors, a similar turnout to last year, but not as strong as anticipated. 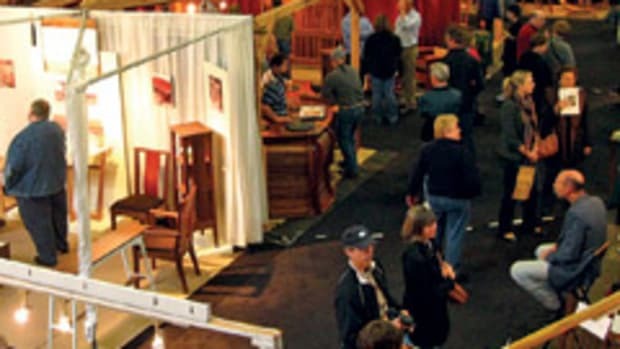 Although the show served its purpose to custom furniture makers and other craftspeople who sold their wares in rented booth space, its future is under review. Show director Karla Little says she created the show because a significant number of furniture makers wanted one in the Baltimore/Washington market. “These individuals also wanted an invitational show rather than a juried show, so that they could count on it every year. Year One, the economy tanked, so what has happened is the need isn’t really there anymore,” says Little. There are two problems with this show, Little says. Every year it’s been held the first weekend in May and every year there are more and more conflicts, specifically with new events going on at the same time. 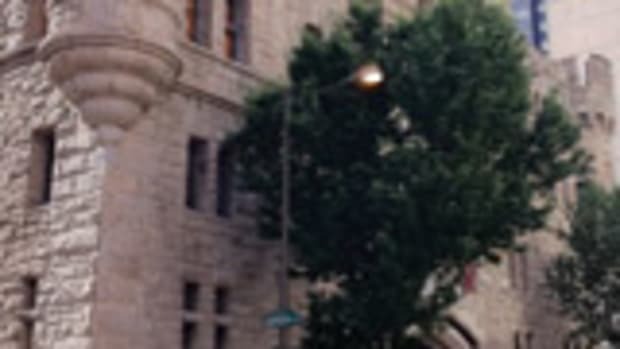 Little produces two other shows in Milwaukee and Providence, R.I., that do better in the fall. Little says she also faces competition from the older and more established American Craft Council and Washington Craft Show, both held in in the spring. Within four months, she will make the decision to either change the date or end the show. 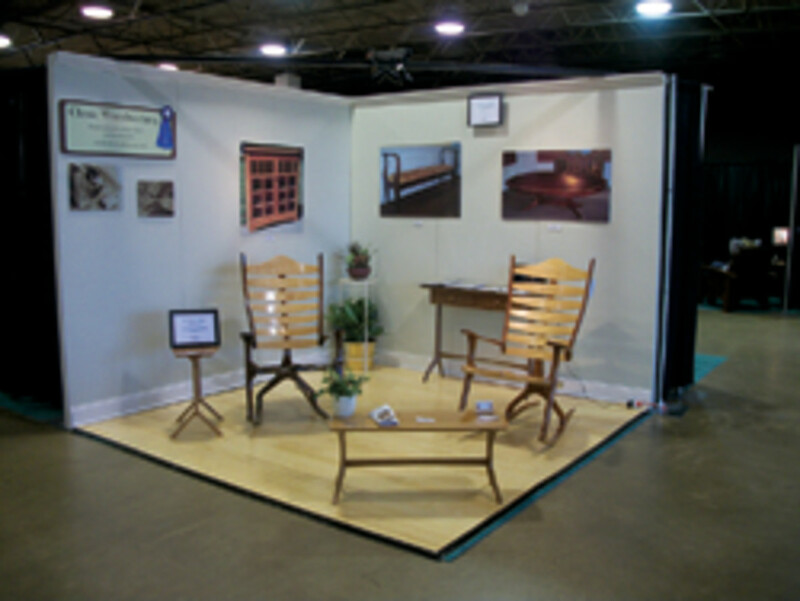 Exhibitors interviewed by Woodshop News gave mixed reviews. 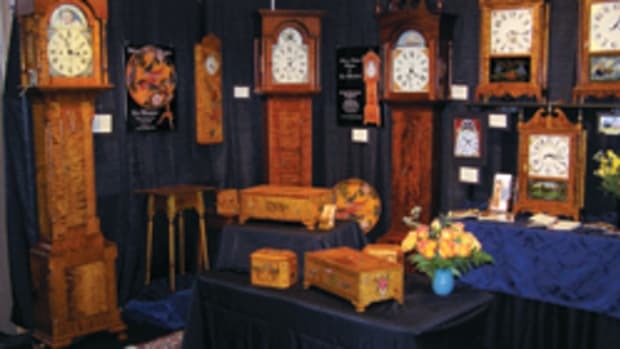 First-time Baltimore exhibitor Christopher Krauskopf of Classic Woodworking in Louisville, Ky., says he scored several commissions and has a list of prospective clients. “I think there was a good mix of modern and traditional work. Everything was of extremely high quality. I can’t stress that enough,” says Krauskopf. 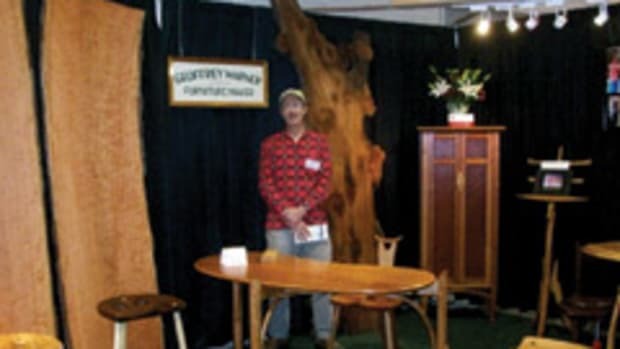 Sean Schieber of Myrtle Grove Furniture in New Market, Md., another first-time exhibitor, didn’t fare as well but got inspired during the show. He got the names of booth visitors and plans to invite them to an open house at his shop. “I really didn’t get much response at the show. There wasn’t a lot of activity there. But I am following up with some leads that seem like they’ll make going worth my time,” says Schieber. The Milwaukee show will take place Oct. 4-6 at the Harley-Davidson Museum, followed by the Providence show Nov. 1-3 at the Pawtucket Armory Arts Center in Pawtucket, R.I.